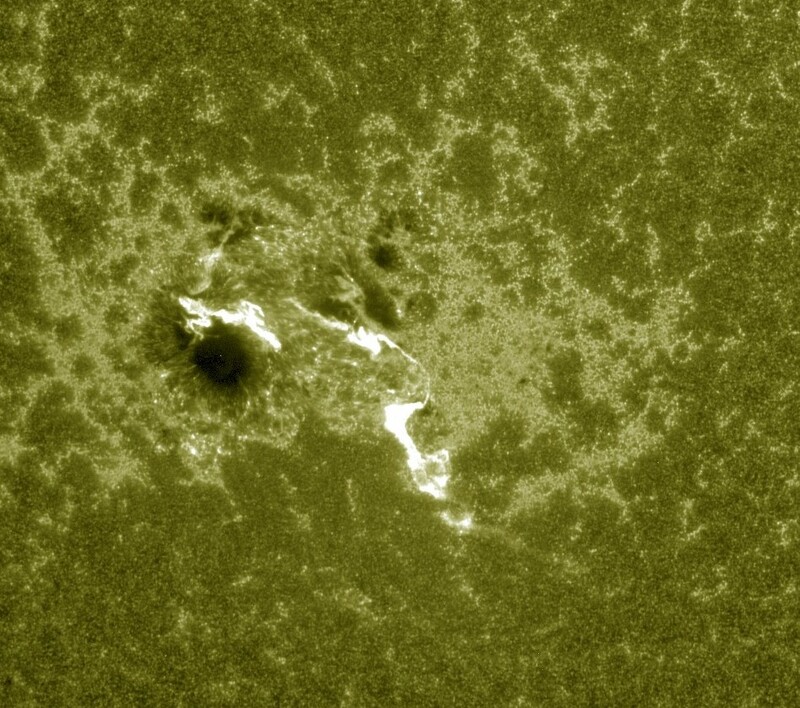 A strong solar flare measuring M8.7 was observed around large sunspot cluster 2192 at 01:59 UTC (Oct 22). 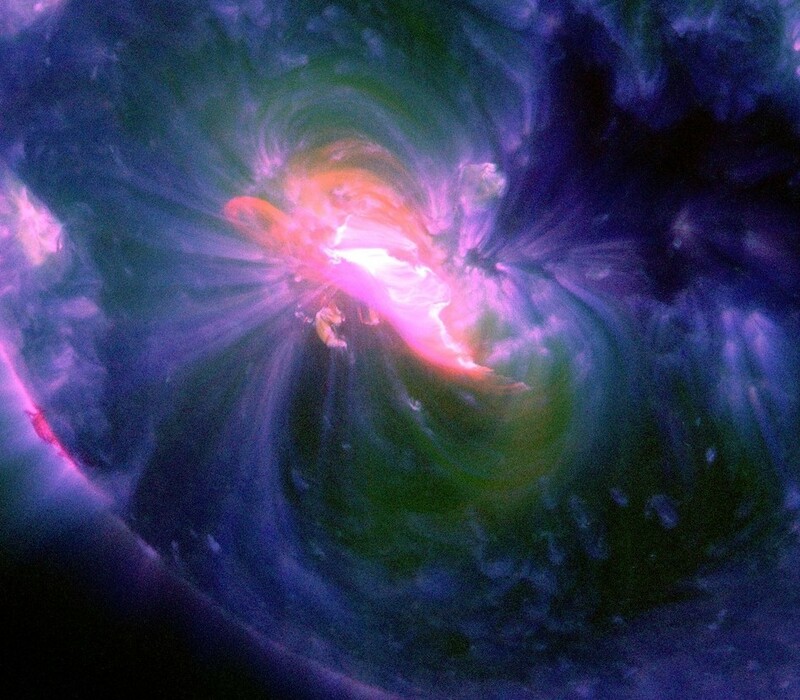 The flare did not produce a noteworthy coronal mass ejection (CME). No major impacts to our geomagnetic field are to be expected. Video presentation of the flare event is now available. Also includes GOES-15 solar X-Rays and Simulated Global D-Layer Absorption data charts. 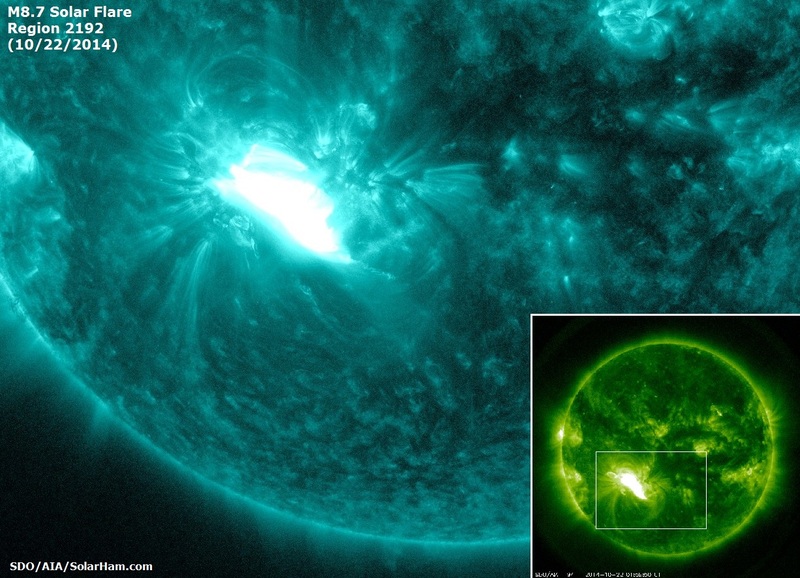 A Type IV radio emission was associated with the flare event. 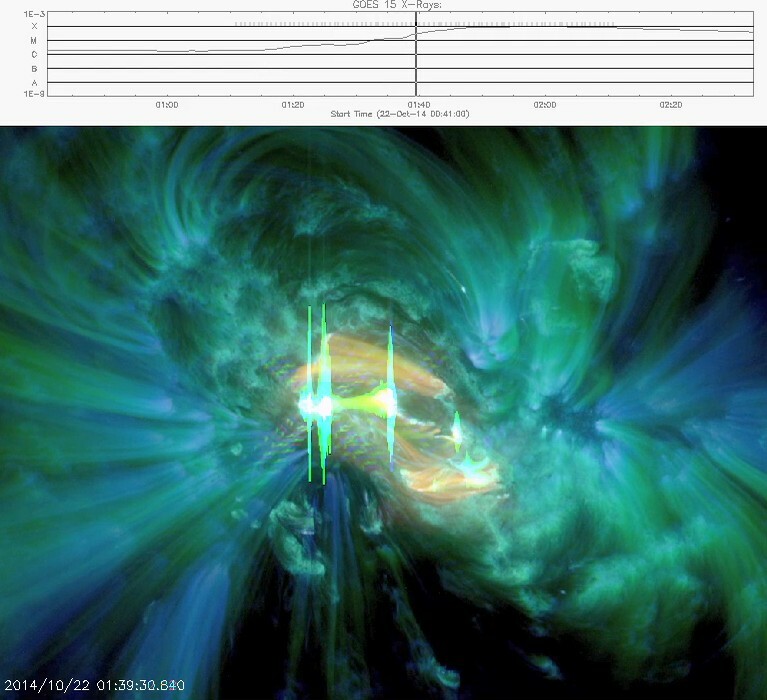 Based on updated SDO imagery using the 193 angstroms channel, no significant coronal dimming, or shock appears evident. 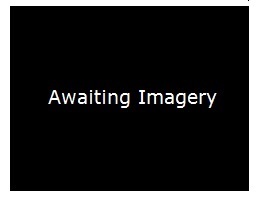 More updates once updated coronagraph imagery becomes available. 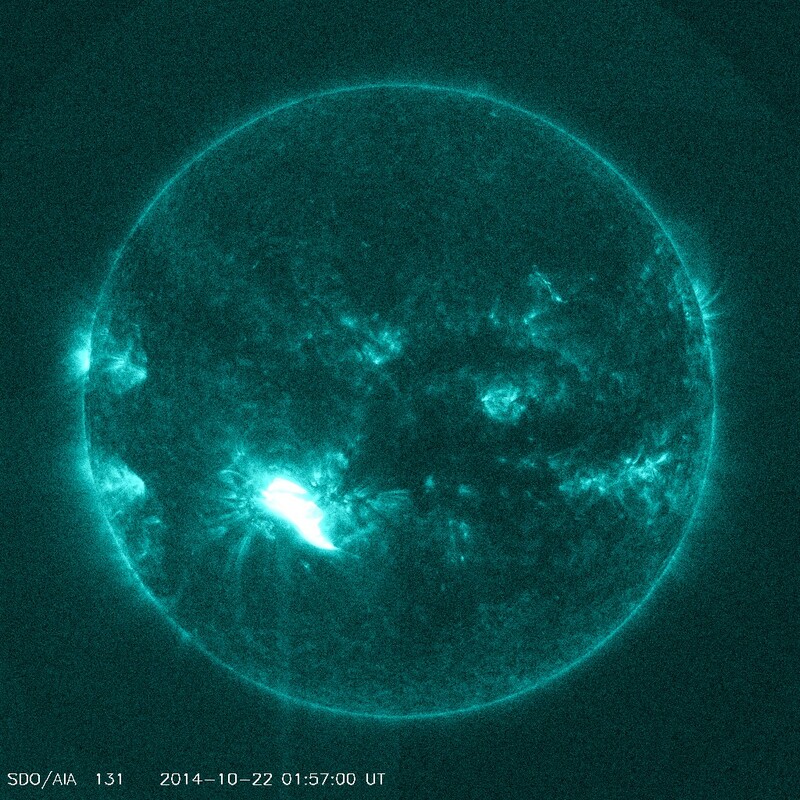 A strong solar flare measuring M8.7 was observed around region 2192 at 01:59 UTC (Oct 22). The flare itself was fairly long in duration. 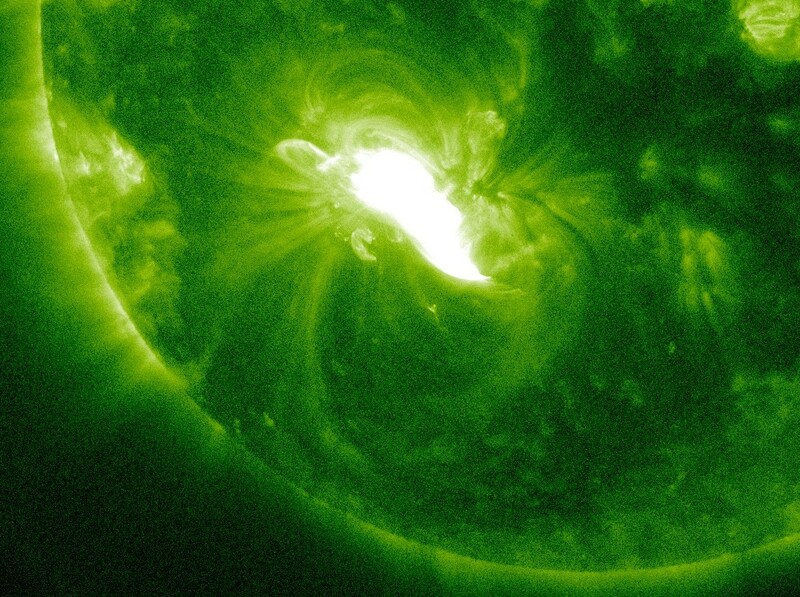 Previous flares around this region have yet to yield a noteworthy coronal mass ejection (CME). More updates to follow. Potential Impacts: Area of impact centered on sub-solar point on the sunlit side of Earth. Extent of blackout of HF (high frequency) radio communication dependent upon current X-ray Flux intensity. For real-time information on affected area and expected duration please see http://www.swpc.noaa.gov/drap.